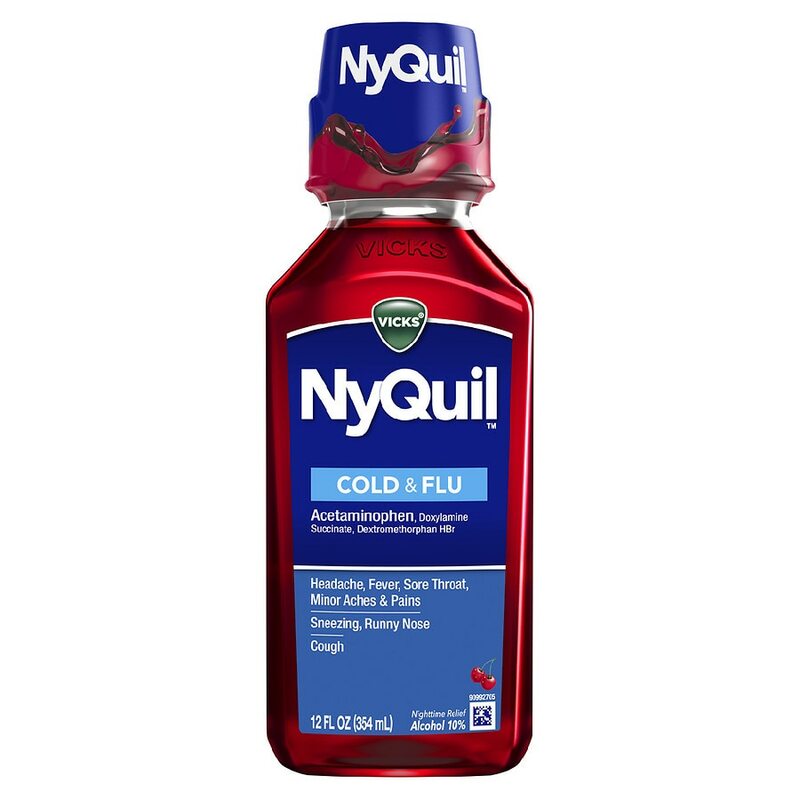 If cold symptoms are depriving you of a good night's rest, turn to Vicks® NyQuil® Cold & Flu Relief Liquid medicine to relieve your cough, sore throat, headache, minor aches and pains, fever, runny nose, and sneezing to help you get the sleep you need. If pregnant or breast-feeding, ask a health professional before use. Keep out of reach of children. Overdose warning: Taking more than the recommended dose can cause serious health problems. In case of overdose, get medical help or contact a Poison Control Center right away. Quick medical attention is critical for adults as well as for children even if you do not notice any signs or symptoms..